This photo below is definitely the definition of #momlife. 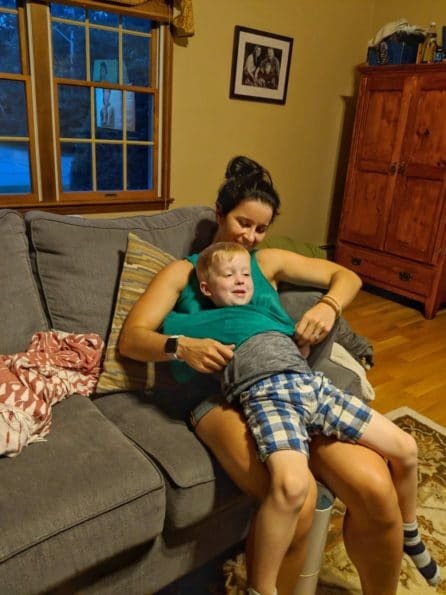 Here I am sitting on the couch, trying to relax after a long day when Quinn climbs onto my lap and sticks his head in my shirt. It was a flow-y, criss-cross tank top, so I totally understand its fun potential, but, hey, personal space! 🙂 I didn’t even bat an eyelash, nor did I even realize what was happening until he had already made himself comfortable. I bet a lot of moms can relate, right? One classic moment I’ll never forget happened when Quinn was a baby, and we were out dining with some friends. I took him to the restroom to change his diaper – but the changing station was next to a super loud hand dryer, and he was not having any of it. He started screaming and rolling around, so I quickly sped through his diaper change and pulled up his pants. When I returned to the table, Mal pointed out that Quinn smelled terrible, and we discovered that his diaper had actually leaked in his pants earlier. In my rush to get away from the scary hand dryer, I had put Quinn’s poopy pants right back on him. Ughhh! Luckily, our night was saved by the Old Navy next door and a new outfit – but man, was I upset and embarrassed (and my glass of wine had never tasted so good). When we got home that night, however, Mal and I started cracking up hysterically. I mean, how could you not? That’s life with kids – messy, embarrassing, and absolutely wonderful. There’s really nothing better, and it deserves to be celebrated – with cake! 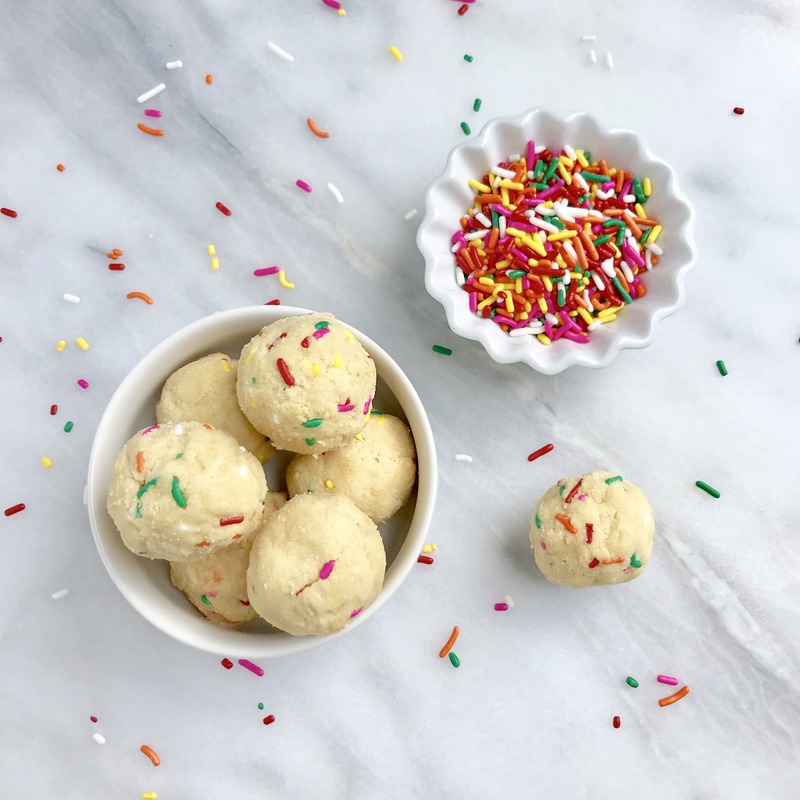 How about celebrating parenthood with these Vanilla Cake Batter Protein Balls? They’re honestly one of the most delicious things I’ve eaten lately and will make you forget about just about any bad day. And, even better, they just require 6 ingredients to make, so they take no time to whip up!! Yep, that’s right. 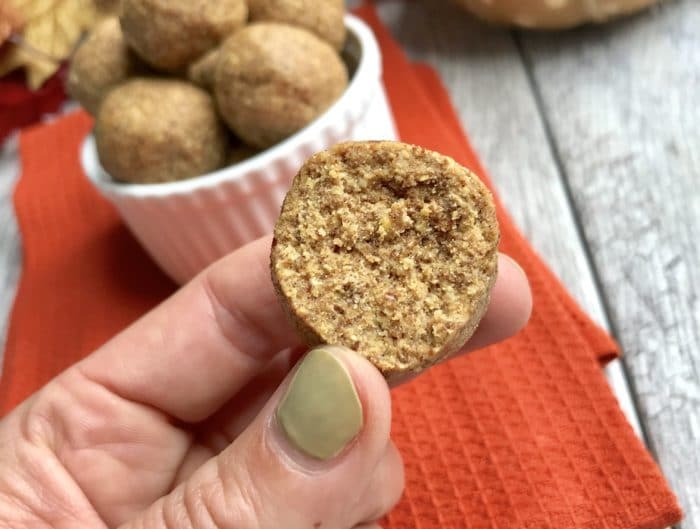 These protein balls come together in a matter of minutes and couldn’t taste more delicious. They really do taste just like vanilla cake! And for good reason – the star ingredient is vanilla frosting. Yup. There’s vanilla frosting in these babies, and it’s glorious. I used the organic vanilla frosting made with coconut oil from Simple Mills, but just about any brand will work (same goes for the protein powder) – as long as it firms up when cold! 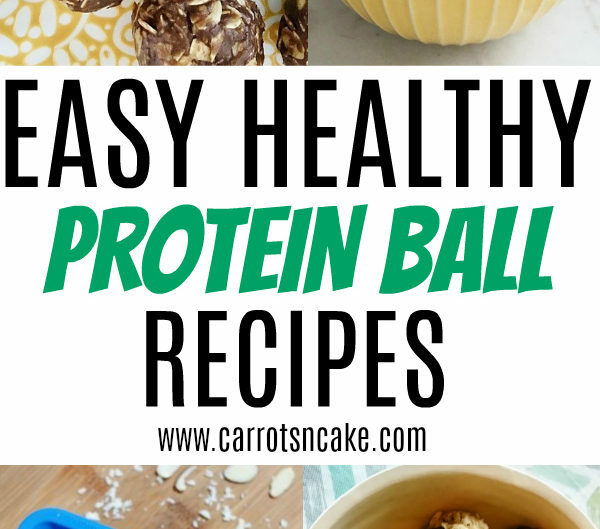 🙂 I hope you guys love these protein balls as much as I do! 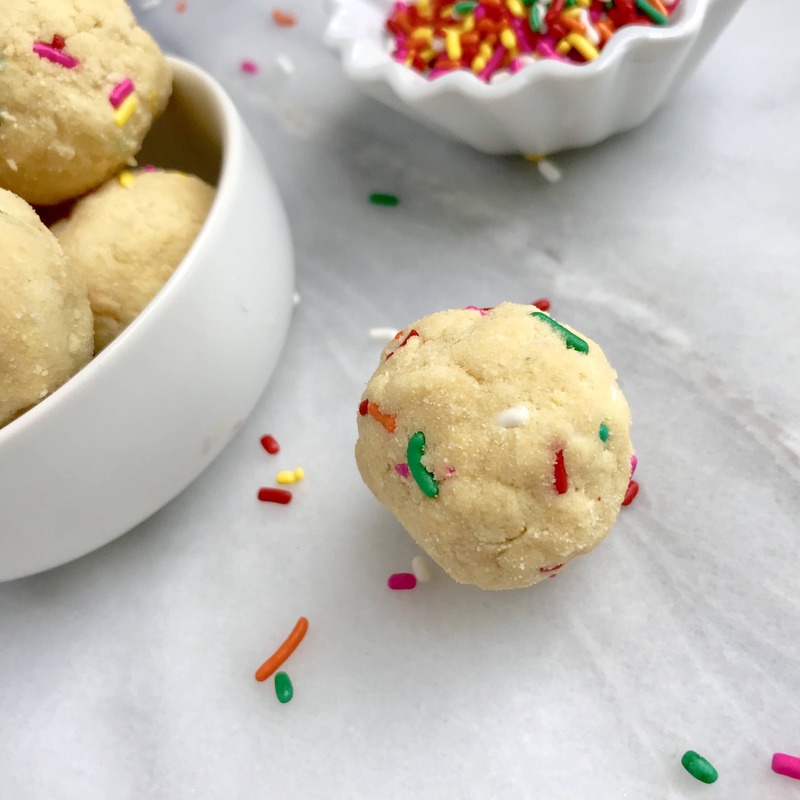 Roll batter into 8 balls and refrigerate for at least an hour. 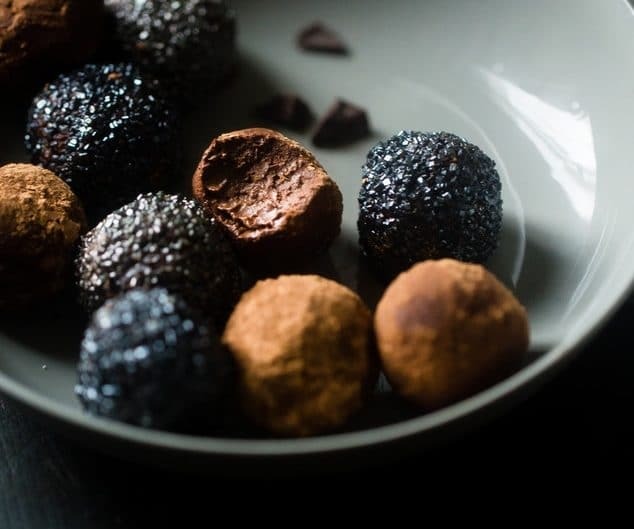 Store protein balls in the refrigerator. I’m not a Mom, but I have a lot of nieces and nephews, so I’ve dealt with some of their shenanigans in public. Once at a WaWa during a road trip, my nephew Liam (who was 20 months at the time, he’s now 8) ran behind the cashier counter like he owned the joint. My mom, the cashiers, and I thought it was hilarious. My sister, however, did not! Based on those macros, it seems like these are really a quick carb source, with a bit of protein on the side. Um yes, I’m a huge fan of dresses and my just-turned 5 year old son always tries to hide under them . My mouth is watering! I’m obsessed with anything birthday cake flavored! Will have to try these soon! 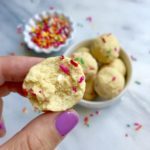 I don’t have coconut flour…anything I can substitute instead?